Ben Collins lives an extraordinary life. He’s best known for serving as Top Gear’s tame racing driver, the Stig, for eight years, during which time he went to extreme lengths to conceal his identity. After a relentless pursuit by the press, he was eventually found out and went on to publish his book ‘The Man in the White Suit’ where he revealed his identity. Unsurprisingly, this led to a major fallout with Clarkson, Hammond and May when he left Top Gear. He’s since made up with the trio, however, and continues to work with them on other projects. He’s also one of the film industry’s top stunt drivers, having done some daring driving down mountain roads in an Aston Martin DBS for Quantum of Solace, as well as stunt driving for films in the Fast and Furious franchise among others. 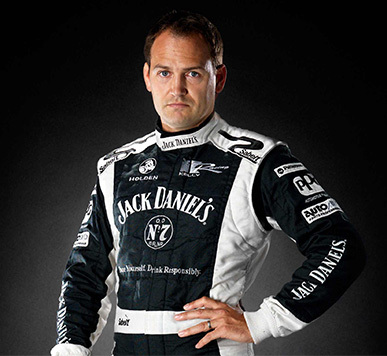 In the racing world, Collins has raced everything from LMP1, LMP2 and GT class cars, to NASCAR racers. He last raced in Le Mans back in 2015 for an independent Ferrari team where he set the fastest lap for the category. Now, he’s using his real-world racing experience to help the team at Slightly Mad Studios perfect the physics and tire model in the realistic racing simulation Project CARS 2 due to launch on consoles and PC September 22nd. He isn’t new to the games industry, either – Collins joined the Slightly Mad Studios team as chief handling and physics consultant in 2011 to work on the original Project CARS game. We caught up with the former Stig to find out more about his input into the game, how he's helped refine the handling, and his life as a stunt and racing driver in our exclusive video interview which you can watch below.